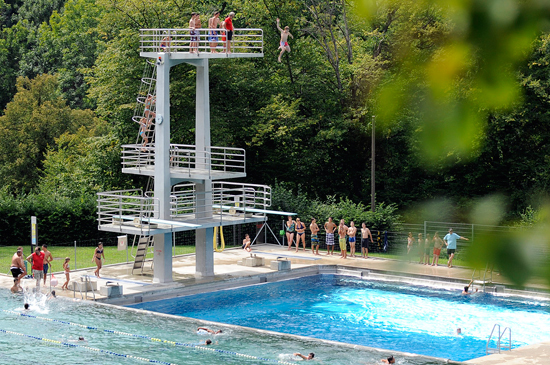 Terrassenbad Baden is situated in a quiet and sunny location surrounded by a spectacular terraced landscape. People of all ages come to this family-friendly swimming complex to catch up, relax and improve their health and fitness. The complex covers an impressive 33,000 m² and boasts a magnificent view of the Baden Old Town. Large self-service restaurant with a fabulous view of the entire pool complex, the ideal place to eat and relax. 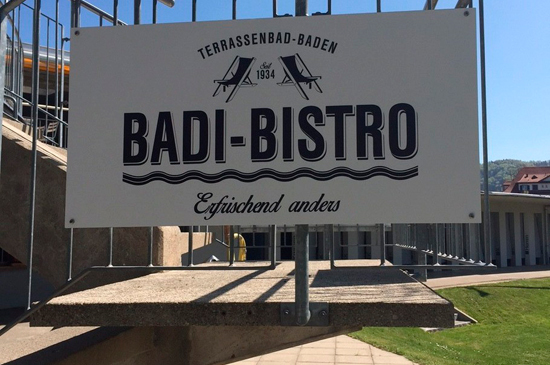 An innovative team has run the bistro since the start of the 2015 swimming season; visit www.badibistro-baden.ch for all the latest news and offers. 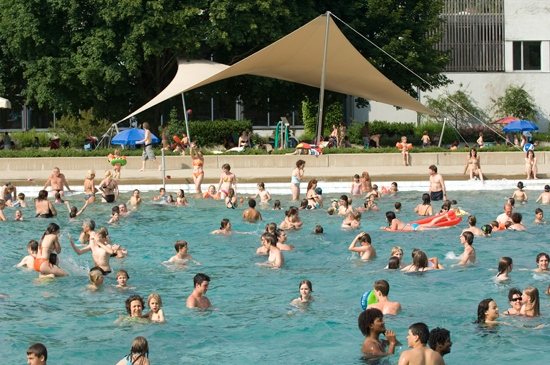 Take RVBW bus line 3 or 4 from the Baden or Wettingen train stations.The “Schwimmbad” bus stop is right next to the Terrassenbad outdoor pool. 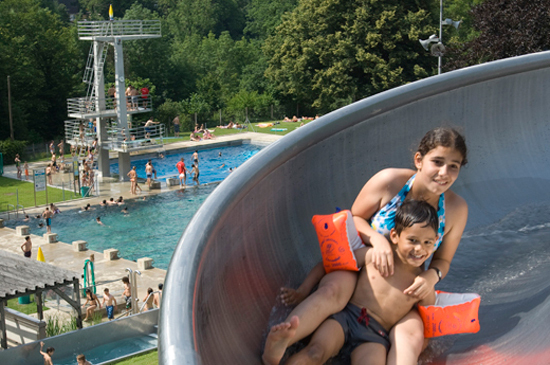 There is parking available at Terrassenbad. good weather 10.00 a.m. – 7.00 p.m.
good weather 9.00 a.m. – 8.00 p.m.
wet weather 9.00 a.m. – 7.00 p.m.
9.00 a.m. – 9.00 p.m.
end of season good weather 10.00 a.m. – 7.00 p.m.
* The pool management will determine the opening hours depending on the weather. Final admission: 45 minutes before closing. Wir verwenden Cookies. Durch Nutzung dieser Webseite stimmen Sie der Verwendung von Cookies zu. Weitere Informationen finden Sie in unserer Datenschutzerklärung.